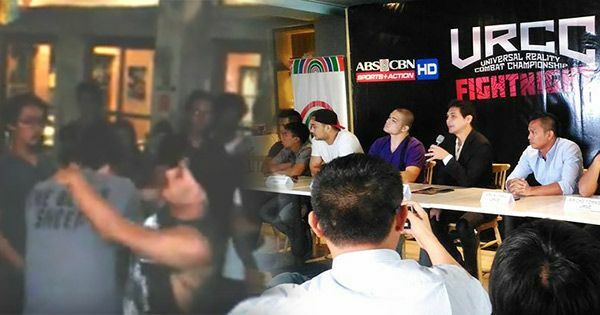 Actors Baron Geisler and Kiko Matos, who were involved in a bar fight, have been invited to a mixed martial arts fight to settle their dispute. "Professor Alvin Aguilar issues an open invitation to Baron Geisler and Kiko Matos to settle their beef in the UNIVERSAL REALITY COMBAT CHAMPIONSHIP (URCC) cage this June 25! Your thoughts? #URCCFightNight #BigwasanSaPalace #MMAPhil," MMA Philippines posted Monday on Facebook. Aguilar is the founder and president of the league. In a video that went viral recently, Baron was punched by Kiko, an indie actor, at Tomatokick bar in Tomas Morato. Reports said Baron got angry after Kiko disrespected a bartender. It can be seen in the video that Baron offered to shake hands, but Kiko threw punches to teach him a lesson. During an interview, Baron said he wanted to see Kiko and hit him. The latter said Baron talks too much, adding that the actor should face him instead of posting statements against him on Facebook. Baron answered saying he is willing to face and fight Kiko anytime, anywhere.